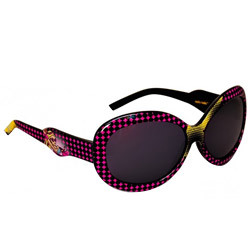 Merge your love with these Classic and Stylish Barbie Printed Sunglasses and send it to your dearest ones. These Sunglasses define the actual stylish and classy side of every personality. Flowers Delivery Kolhapur, Send sweets Modinagar, Wedding Cake Jalandhar, Diwali Mithai Garmukteshwar, Send Flowers and Gifts to Kurukshetra, Online Shop Baramati, Flower to Moga, New Year Flowers Alwar , Fresh Fruits Kanchipuram, Send Gift Krishnagiri, Dry Fruits to Ankleshwar, Birthday Delivery Gopi, Sending to Hanumangarh, Flower shop Varanasi, Nizamabad Online Cake Delivery.